Last week I wrote about my fears that liberals are being too moral and ideological in their protests over President Trump’s regime. This will simply alienate voters who might otherwise be persuaded – and distracts attention from the regime’s weakest spot – incompetence. But at the same time the populist narrative must be fought – or else untruths are in danger of being accepted as facts. Now most of this article is a worthwhile read. It explains why so many Americans, perhaps even a majority, think that Mr Trump is onto something, and are unmoved by the protests. We do not need to invoke racism and misogyny to explain support for Mr Trump, however much we think these forces are lurking in the background. But two important points are lost in this, and each is central to the anti-Trump narrative. The first point is this: who says that fascists have to be unpopular? Successful fascists (like Mussolini and Hitler) are expert at exploiting the anxieties of the “forgotten millions”, and presenting themselves as the alternative to a complacent elite. That is precisely why they are such a threat. They then use this sense of legitimacy to destroy the rule of law and constitutional checks; they turn on minorities; they try to subvert fair or truthful reporting; they have a penchant for violence and the suppression of opposition. How much Mr Trump really is all these things in his heart is an interesting question; but it is clear that his chief adviser, Steve Bannon, fits the fascist description quite closely, and he seems to be making the running. That does not make all Mr Trump’s supporters and allies fascists, or even most them. But the fear that they are being taken down a slippery slope is legitimate. That Trump supporters have genuine grievances is beside the point. The second point is that the anti-Trumpers are people too. They haven’t necessarily done any better out of the system than the pro-Trumpers (whatever the latter think). Worse, many people feel as if they are being singled out as targets for discrimination, and even violence. We should not dismiss them, as this article does, as mere cyphers or dupes of a shadowy elite. There is real, genuine fear behind those protests, as well as quite genuine moral outrage. And these anti-Trumpers are not an insignificant minority, as implied by the term “elite”. Hillary Clinton polled more votes than Mr Trump (though this not quite the knock-down argument it might seem at first – if the election had been based on popular vote, Mr Trump’s strategy would have been different – he might have polled better in California, for example). This is not the forgotten millions versus the elite. It is a clash between two groups of forgotten millions, each of which feel marginalised for different reasons. The elites themselves, meanwhile, are mostly keeping their heads down; many are even making overtures to the Trump regime. So two pillars of the liberal position should be this: first is that we are people too, and we have legitimate fears; second: undermining the rule of law, the constitution and the voice of opposition is attacking democracy itself. Add to this a third pillar: the Trump regime is not helping the people it is claiming to represent; it is simply creating a new set of fat cats. But is there a crucial fourth pillar? Will liberals find have an alternative set of new policies that will do a better job of addressing the marginalised, and unravelling the coalition that brought Mr Trump to power? Alas I see no signs of that. And without that fourth pillar, the situation remains very dangerous. So liberals must search for that policy platform that will present a real challenge to the populists. Meanwhile, though, we must not let the conservatives hijack the narrative by suggesting that liberals are a tiny elite, and that subversion of legal and constitutional processes, and journalistic objectivity, is somehow a legitimate part of the democratic process. I have noticed, an increased tendency to compare contemporary events with events in the 30s. You yourself mention Hitler and Mussolini. I always try to avoid this line of argument. I’m not sure that history ever repeats itself quite as is being imagined. But, seeing as we are on this line, let’s stick with it for now. You say “…. liberals must search for that policy platform that will present a real challenge to the populists.” I’d add anyone of a sensible political disposition. Democratic socialists, social democrats, some Tories even. But what can that be? Or, let’s put it another way. What could or should it have been in the 30s? We should try and learn the lessons from history. The west was languishing in the economic doldrums. The emphasis was on ‘sensible money’ policies almost everywhere. The rise of Hitler and the Nazis is often attributed to the hyperinflation of the 20s but that it only part of the story. 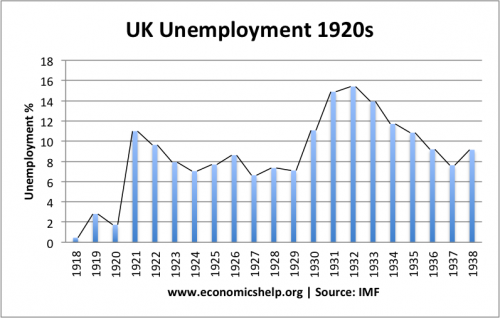 By the early 30s prices had stabilised but unemployment was close to 30%. Just as it is in many parts of the eurozone. Once Hitler and his gang took over they took just over 6 years to eliminate all that. They simply put their foot on the economic accelerator with high levels of military spending and prevented inflation by throwing trades unionists, and even small shopkeepers charged too much for their products, in jail. So I’m not saying we should simply copy them! In the USA the famed New Deal was running out of steam by the late 30s. After some initial success, the pressure was on Roosevelt to get back to ‘sensible’ economics. When the war did get started in Europe the Depression looked to be returning to the USA. The war changed everything of course. It ended the depression, on both sides of the Atlantic. Women were liberated from domestic drudgery and workers were given jobs who had no jobs before. So, with the benefit of hindsight, what should ‘liberals’ have done in the 30’s to end the depression? Surely, we can’t accept the idea that wars are necessary to end recessions and depressions! We need to answer that question before we can answer the question of what we need to do now. PS As I write this I am listening to one Paul Johnson of the IFS spouting the most appalling neoliberal nonsense about how we need yet more years of austerity to remedy our economic ills. I don’t feel at all optimistic we are capable of learning from previous mistakes. No, it isn’t. Greece has the highest unemployment at 23% with Spain second at just over 18%. The average is under 10%. In some areas there remains a problem with youth unemployment but we are not in the same position as the 1930’s in terms of unemployment. I probably should have given a reference. You’re right that Greek unemployment, as officially measured, has fallen from 28% to 23% in the last few years. So its not “as close” to 30% as it was! Whether these figures are indicative of some improvement , or rather indicative that high levels of emigration might be the reason has yet to be established. Maybe the counting methods have changed? You might be relatively happy with 18% but this is still higher than it ever has been in the UK! The left didn’t put up with even 12% under Margaret Thatcher! I agree that we should be very cautious about drawing parallels with the 1930s – and apart from that tangential reference, I didn’t. The 1930s were a very different state of technological evolution. Millions of relatively low-skilled jobs were potentially available in manufacturing industry (initially armaments, but easy enough to divert in domestic cars and refrigerators); and armed service could soak up temporary slack. But now even war is too high tech to create much in the way of semi-skilled employment. I’m not saying that it is impossible to create enough of those semi-skilled jobs – but we need to understand where they are before designing any stimulus package. Otherwise stimulus ends up in more inequality and money stashed in offshore tax havens. But pumping more money into social care, and training and retraining of people to take up care sector jobs…. There’s always a problem, or a perceived problem, with technology. Looking back over history we can see how the Luddites reacted to the introduction of machinery in the textile factories. Agricultural workers were fearful of steam driven threshing machines etc. Technology now isn’t hugely different from what it was ten years ago. Sure, phones are smarter and computers are quicker etc, but so they were then compared to twenty years ago. No doubt then you’d have been telling me then that the “great moderation” had cured most of the problems of the economic cycle. The end of boom and bust etc. Certainly the previous ten years had seen steady growth in the economy which had created enough jobs to keep unemployment low. The ten years since haven’t produced any growth. That has to be the only reason why we have not only an unemployment problem but also a large underemployment problem too. I am sceptical of the official figures on unemployment. It cannot be accurate to count someone as employed simply because they occasionally pick up a few hours of work on ZHC. It is this lack of growth which has caused all the problems we all agonise about. If we’d had the EU referendum ten years ago I have no doubt that there would have been a comfortable win for the remain side. So, Brexit is almost entirely attributable to a lack of growth. Not just in the UK but in the EU too. So the PTB there have to accept their share of responsibility for the UK’s decision to leave. Having said all that it could well be that we can’t just grow our economies for ever. But I don’t believe we have reached the limits quite yet. I have written a few times about this. I think most real business cycle theory is absurd, but there is a core of truth – technological developments do affect the shape of the overall economy, and simply assuming that capacity grows at a trend rate is wrong. But exactly where we stand is hard to say. I think there is a lot in your suggestion that there is quite a bit of underemployment, the low unemployment figures notwithstanding. Is that because of absent or badly designed fiscal policy? Or are technology, skills and political institutions conspiring against the full utilisation of human talent which is in the wrong place (small towns in the Midlands, for example). I’m only speculating that it is mainly the latter! I think there was a bit of a technology golden age fro the 1940s to the 1960s, which I have called the age of light industry. This is when a virtuous circle developed between well-paid middle paid factory and office jobs and rising consumption of consumer goods. But that reached saturation, and then new production technology disrupted the jobs it created. Technology has continued advance since, and has continued to make lives better, but in ways that don’t quite have the same virtuous circle. But there is plenty of work out there to do that isn’t being done or should be paid better (in the care sector for example). We have to figure out ways to make that happen. The new monetarists are contributing to the debate by pointing out that big government budget deficits are something not to be afraid of, at least in the transition. I think that is part of the answer, but only part. Yes, I agree wit much of this and I think maybe we are moving towards and agreement. Except I might just add that ” big government budget deficits” could be a problem. They could lead to excessive inflation. The current target, and it is a target and not an upper limit, for inflation is 2%. There would have to be some discussion on just what the optimum level might be – I’d suggest 4% – and I’m sure we both would agree that we don’t want to see a return to the much higher levels of inflation we’ve seen in the past. Yes I agree. But I’d say it is a nonsense because the only control lever they have at their disposal is interest rates. The reduction of interest rates has led to asset price bubbles, especially in housing, which aren’t easy to include in the usual measures like CPI and RPI. But that doesn’t mean that government as a whole shouldn’t have an inflation target. Using fiscal policy too. Whether that’s your 2% or my 4% is a matter requiring some discussion. It could well be that we need a higher inflation target for a year or two, to get the economy growing again, but then it can be gradually reduced without plunging the economy back into recession.